It is crucial for the College of Law to continue to offer a comprehensive legal education, not an education that is overly focused in one particular area of the law [Energy Law]. This helps us attract students who have a wide variety of interests, which we must do to thrive in a very competitive environment for law students. 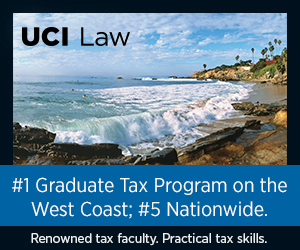 It also helps us prepare these students for practice in a wide variety of legal specialties. We cannot allow an emphasis on one area of the law to detract from our duty to prepare great attorneys for the citizens of Wyoming. 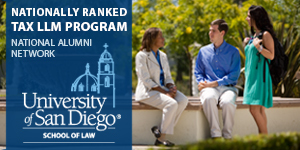 As such, it is incumbent for the College of Law to provide a comprehensive legal education. It is also crucial for the College of Law to comply with the ABA Standards for Approval of Law Schools, including Standard 205(b), which provides that the “dean and the faculty shall formulate and administer the educational program of the law school, including curriculum [and] methods of instruction.” In executing this important responsibility, we have always welcomed the suggestions of others who have the law school’s best interests at heart. This is reflected by our active Advisory and Alumni Board, by holding regular Town Hall Meetings with students, by my frequent attendance at Board of Trustee meetings and conversations with individual Trustees, by a meeting we held with general counsel from several energy corporations, who provided advice about how best to prepare students for energy practice, and by the open door policy of our administration, which is always receptive to suggestions for improvement of the College of Law. 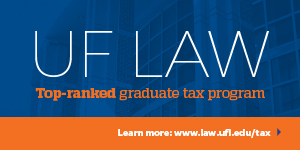 However, the faculty and the dean must govern the College of Law, if it is to continue to enjoy the accreditation that allows the College of Law to maintain its reputation, allows its graduates to take the bar exam in Wyoming and in every other state, and allows its alumni to take advantage of opportunities available only to graduates of ABA-accredited law schools. Recent events cause me concern in this regard. Important decisions affecting the College of Law have been made without meaningful consultation with me or others on the faculty. If the concerns that have led to this lack of consultation are with me, my resignation will remove this impediment and clear the way for the effective faculty governance of the College of Law that the accreditation standards require. I cannot continue to serve as your dean while critical decisions are made about the College of Law without the input of the administration and faculty of the College. "Important decisions affecting the College of Law have been made without meaningful consultation with me or others on the faculty." Can't he say what the decisions are? If so, he should at least say that he can't say. Since his resignation, the reasons and motivation for it have become increasingly clear, and both Easton and Sternberg have been quite open about their mutual views. That isn't to say that they've been getting along well in that regards, Easton was apparently a bit disruptive at a recent forum at UW that attempted to address this issue. And that isn't to say that I'm sympathetic with Easton. I'm reserving some judgment here about my alma mater, but having said that, the review of the College of Law, while coming with questionable timing, is something that should be welcomed. I've blogged a bit about this myself on my own blog, as the story continues to develop.